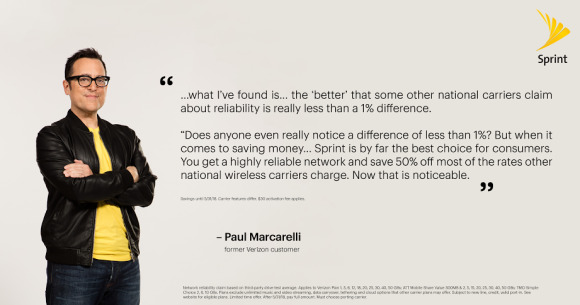 Sprint knew its hiring of Verizon's former spokesman would make news, but it really wanted to emphasize the strides it has made in network reliability. Campaign: Paul Switches to Sprint from Verizon, Can You Hear That? 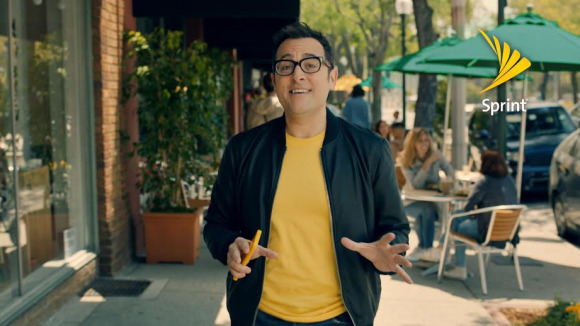 Sprint recently hired former Verizon spokesperson and "test man" Paul Marcarelli to demonstrate the company’s growing network reliability and value, and take a shot at one of its bitter rivals. 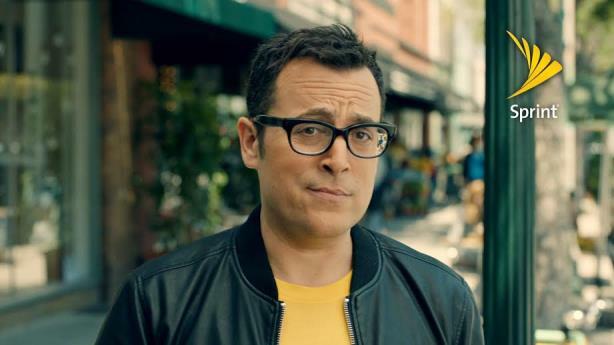 Marcarelli is best-known for testing network superiority in dozens of Verizon commercials that ran from 2002 to 2011 with one of the most memorable lines in advertising: "Can you hear me now?" Sprint is the fourth-largest carrier in the U.S. The company claims to have made significant strides in its domestic network coverage, and it wanted to create a memorable marketing and PR campaign that would break through the clutter of carrier messaging. Sprint has suffered from the perception that its network is not up-to-par with other carriers such as AT&T and Verizon. However, the brand claims its recent analysis of drive-test data from Nielsen, covering the top 106 metropolitan markets in the U.S., demonstrates that its reliability is better than that of T-Mobile and performs within 1% of AT&T and Verizon. While strategizing for the campaign, Sprint’s PR team decided to emphasize the "1%" statistic, issuing a press release detailing the findings from the Nielsen report. It also wanted a campaign spokesperson who is a familiar public figure and would demonstrate the company’s progress. "We started kicking around ideas, and we wanted to come up with someone who was an iconic and well-known figure in the telecomms industry who would be recognizable and who had a connection to the lexicon of pop culture," said David Tovar, VP of corporate communications at Sprint. "Someone threw out the idea of using Paul Marcarelli, and we all loved it immediately." After a few weeks from when Marcarelli was hired to when the first spot was produced, the initial ad in the campaign debuted during game two of the NBA Finals on ABC, which was seen by more than 17 million viewers. The campaign team pitched several traditional and online publications, focusing mainly on the consumer and tech audiences. It also created marketing materials to help the campaign make a splash on social media. Sprint felt it had to go beyond just poaching its rival’s key spokesperson. "If the announcement is just about [Marcarelli] and him switching to Sprint, then I think we would have felt like our campaign fell short," Tovar added. "But because we used [him] and because he drew the attention that he drew, that also allowed us to talk about the other things we wanted to talk about, which is that our network is great." The company’s PR team selected a handful of top-tier outlets for CEO interviews under embargo, including USA Today, CNN, and CNET, to jumpstart the press coverage before the ad debuted. The communications team also partnered with its in-house digital marketing unit to ensure all social media assets were in-sync and that the team was positioned to respond quickly to chatter. It shared creative assets, including pull-quote photos, stills, headshots, GIFs, and bite-sized videos featuring Marcarelli and Sprint, across social channels. The team also enlisted a small group of social influencers to spread the word online and began a Twitter campaign using the company’s @Sprint handle. Sprint CEO Marcelo Claure engaged his 122,000 followers on the platform to build buzz. Sprint also incorporated its employees to spread the word through their own individual social channels, encouraging them to propel the branded messaging developed for the campaign on Twitter, Facebook, and other platforms. The campaign has generated more than 1 billion media impressions from both traditional and social media outlets, the company said. It also spurred more than 640 print, online, and broadcast stories, including syndicated coverage, in the first 45 hours of the campaign. The carrier trended on Twitter for the first few hours after the spot aired, due to early coverage and social messaging. The initial spot featuring Marcarelli, called Paul Switched, also found an audience on YouTube, receiving more than 2.7 million views in less than a week. Most importantly for the PR team, messaging about the company’s reliability being within 1% of Verizon appeared in four of every five online stories.